You did read the warning about posting multiple requests right? 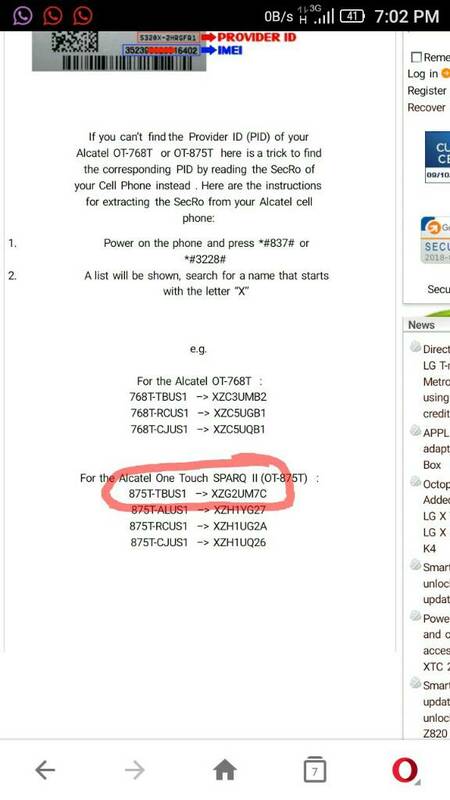 Hallo.. Help me with network unlock key for alcatel OT-875T . its locked to T-Mobile . i followed the *#837# to get the PID code since its not indicated on the sticker..
PID : 875T-TBUS1–>XZG2UM7C (am not sure which one is which).. Below is the screenshot of what my PID looks like after following that method ..